In brief: An oasis of Japanese calm on an otherwise unremarkable block of a rather uninteresting neighborhood. Ever notice how the Japanese always like to make things look nice? 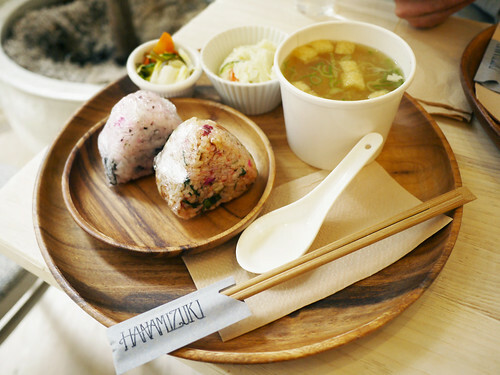 Even a quick lunch meal of rice balls is served on wooden trays and the classiest disposable chopsticks I've ever seen. The rice balls are fine but the potato salad and pickled vegetables divine. I could have eaten more of those.